Small Business Saturday, the “shop small” holiday sandwiched between Black Friday and Cyber Monday, started back in 2010. In just seven years, Small Business Saturday has become part of our culture. It is so ingrained that I was surprised while researching this article to find that this would only be the seventh year of celebrating. 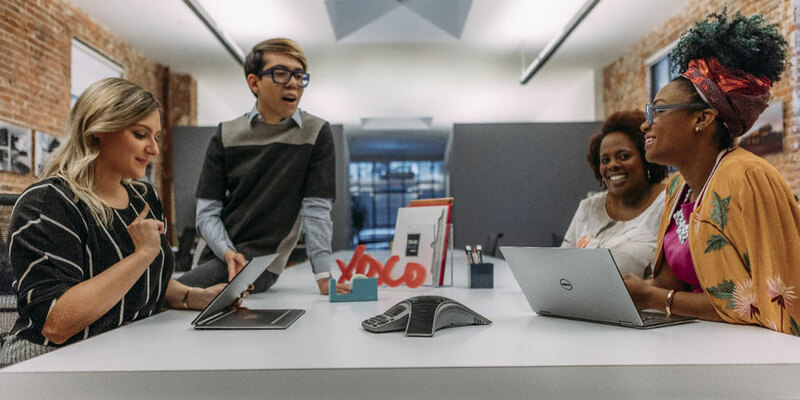 The small business community has always been part of the lifeblood of what makes Dell… well Dell. From our beginnings in Michael Dell’s dorm room at University of Texas (back when we were a small business ourselves) to our current company culture where we refer to ourselves as the “world’s biggest startup”, small business is near to the heart of Dell. As in years past, we’ll take the opportunity to thank our small business customers and encourage team members to take part in “shopping small” by patronizing local businesses on November 25 (this year’s Small Biz Saturday). But this year, in honor of Small Business Saturday, we decided to do something different. We want to give small businesses the opportunity to tell their story of how their business is SMALL BUT MIGHTY. We love hearing from small businesses about what makes them unique. From wallpaper designers like Kate Zaremba to lemonade company, “Me and the Bees”, started by 12 year old entrepreneur, Mikaila Ulmer, we know every small business is unique. When you share your story, other go-getters will be able to peruse the SMALL BUT MIGHTY stories. We’re also giving away a prize package from Dell and McAfee to five businesses who share their story. Upload a photo of your small business in action.